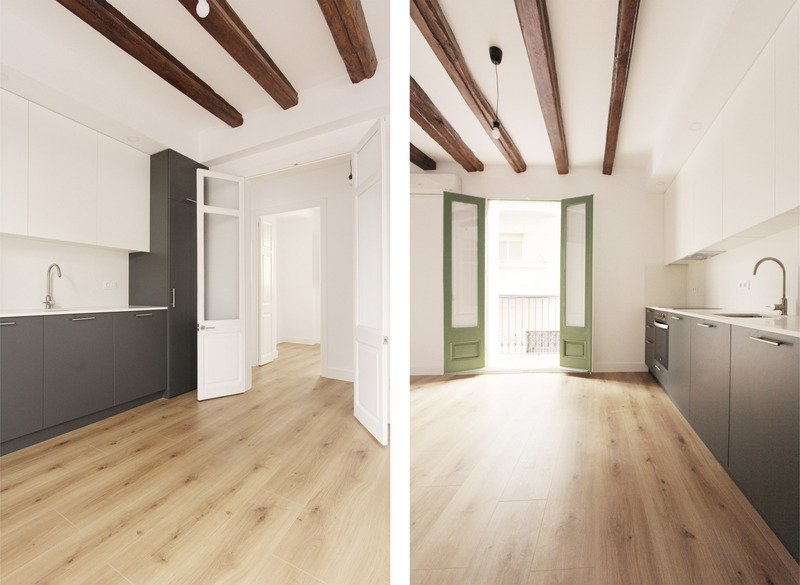 The Barceloneta neighborhood is a “rare avis” within the urban fabric of the city of Barcelona. In the form of a wedge, it was designed by a military engineer at the end of the 17th century with a rectilinear layout and with similar dimensions. In its origin, single-family houses were built to supply the demand but with time and need 5-storey buildings started being built. After the real estate speculation, they have divided in 2 and up to 4 individual units, giving rise to the typology of a housing of 35m2 dominant in the Neighborhood. 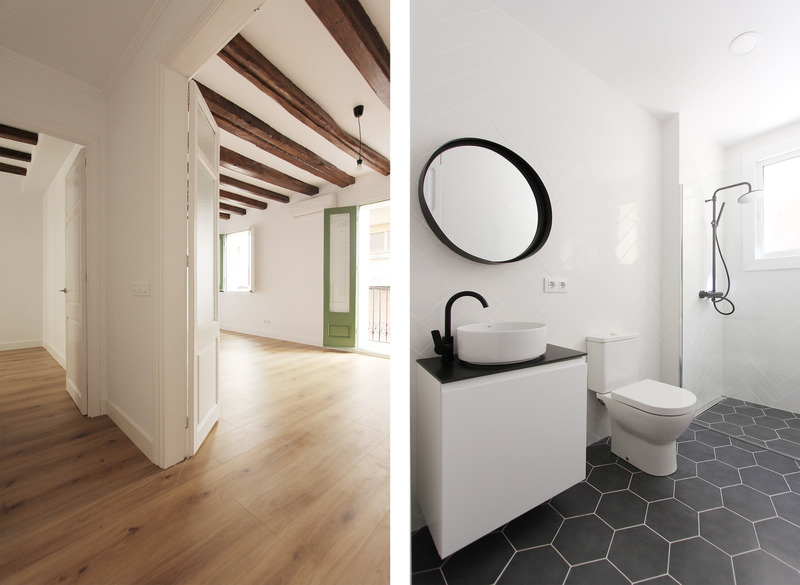 Our project is located in a building from 1936, with a single dwelling per floor of 75 m2 and exterior to both streets, the spatial quality, the entrance of light and the amplitude are the strengths of this fantastic property. 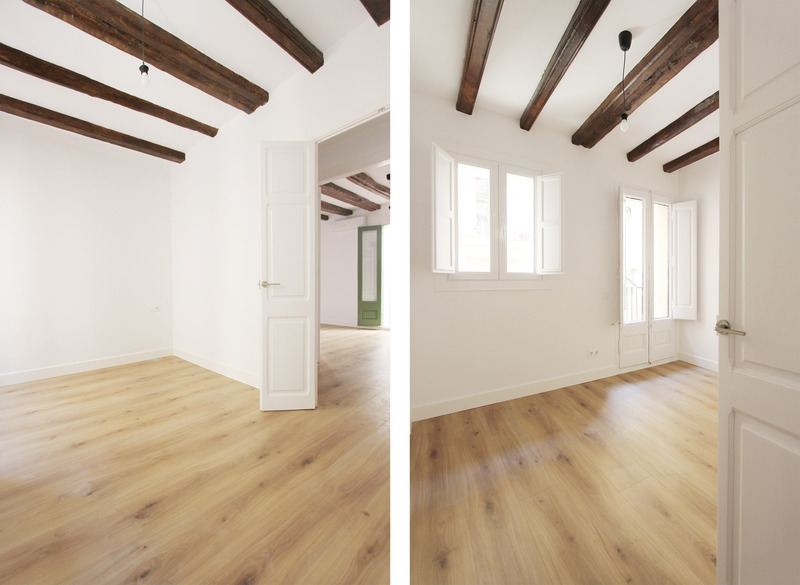 In the architectural project for its rehabilitation, we have chosen to return to show its origin with exposed beams, restoring this old structure replacing everything necessary to guarantee the durability and security. 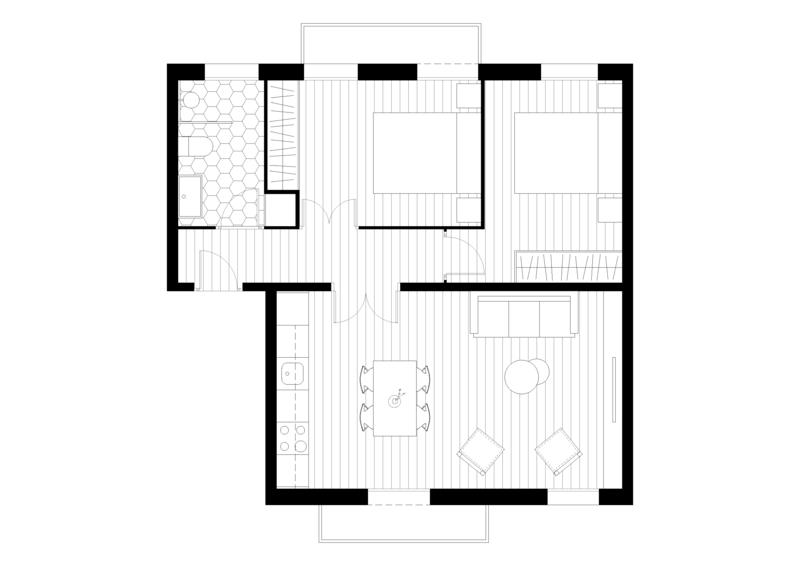 The total redistribution of the house has given rise to two large double bedrooms, a living room of almost 30m2 and a large and complete bathroom with space for storage, laundry etc. The updating of elements of interest such as doors and windows, which we have completely restored and equipped with double glass with air chambers and watertight joints give the house a character and special personality in a neighborhood with a lot of history.